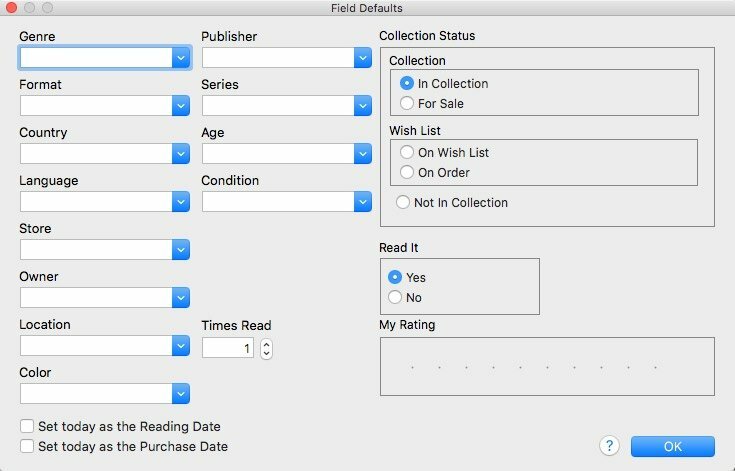 The Field Defaults screen in Comic Collector allows you to assign default values to comics when adding them to your collection. For example, If you are adding lots of comics purchased from Amazon, you can define the store using the Field Defaults. Each comic you add will then be assigned that store. Here you can define default values for your comics. *The default value for “Collection Status” is only used when you’re adding adding comics manually.